Union Minister of State for Social Justice and Empowerment Ramdas Athawale Friday rooted for 25 per cent reservation to the poor among the upper castes by enhancing the quota limit to 75 per cent. 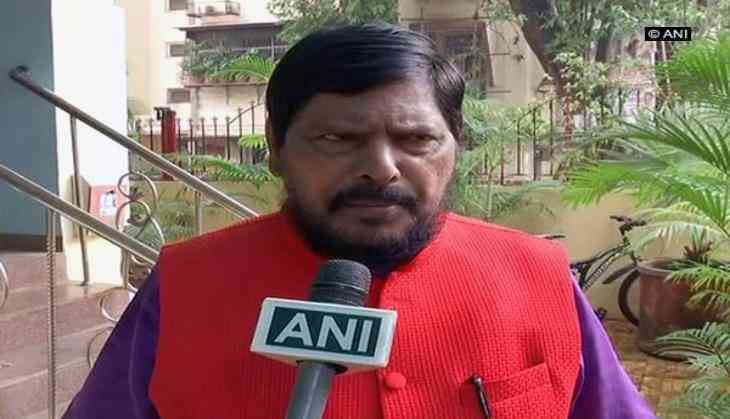 "I believe if a bill is passed to ensure 25 per cent reservation for the poor among the upper castes, it will be beneficial to all... the upper castes think Dalits get reservation while they are deprived of it...," Athawale told newspersons here. To a question, Athawale said, "I think that all will benefit if the reservation limit is enhanced to 75 per cent from the present 50 per cent... all political parties will have to help the government in this regard." The Union minister said the government could consider the issue of reservation in promotions for other backward castes and Dalits in the winter session of Parliament. On recent amendments to the Scheduled Caste and Scheduled Tribe (Prevention of Atrocities) Act by the Parliament to overturn a Supreme Court judgment, Athawale said that no changes would be made now. He said he would like to assure all sections of the society that this act would not be misused and stressed that instead of demanding change in the act, the upper castes needed to change their mindset towards the Dalits. On yesterday's "Bharat Bandh" in the BJP-ruled states, he said it was actually a design of the opposition parties to defame the government. Athawale, who is the president of Republican Party of India, said he wanted to contest three-four seats in the coming Lok Sabha elections from Uttar Pradesh for which he would talk to BJP chief Amit Shah. Claiming that some important leaders of the BSP are in touch with him, he said the BJP will benefit in the state with the coming together of the RPI. He also said the BJP could win around 300 seats in the coming Lok Sabha elections.